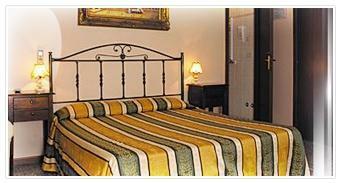 Hotel Al Lion Morosini, Venice. Al Lion Morosini Hotel Venice. In the heart of the historic centre of Venice, among the Grand Canal, Rialto's Bridge and the splendid Church of San Giovanni Crisostomo, at a few steps from the celebrated Malibran Theatre and not far from Piazza San Marco with its treasures and at the beginning of Strada Nuova and its numerous shops, here you can find Al Lion Morosini. Come to discover all the charm of our rooms, furnished in typical Venetian style, in the tranquillity and calm of a central situation that at the same time offers rest and the slow rhythms of a city, where you can enjoy everything with calm. You will welcome inside a splendid palace, which dates back to the 17th century, and you can easily reach the hotel with every mean of transport: taxi, waterbus or on foot. The breakfast is served every day from 08.00 to 10.00, directly in your room. Our reception is open from 8.00am to 7.00pm: after 7.00pm there will be a supplement of 20,00 euro and after 9.00pm the supplement will be of 30,00 euro. For late arrival after 11.00 pm please advise the hotel. Check out has to be amde within 11.00am. You have to pay at your arrival in the hotel. Please inform us, if you have different times from the ones upon described.